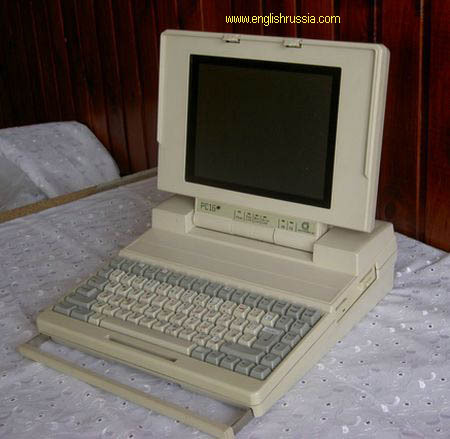 This is first Russian laptop, made under the brand “Elektronika”. 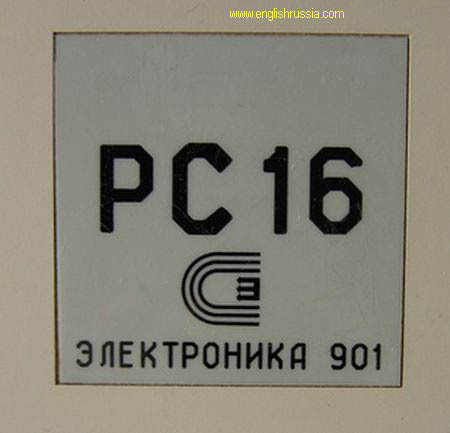 The production started in 1991 and lasted not very long due to the high price of the device – none of the common people could afford themselves such devices. 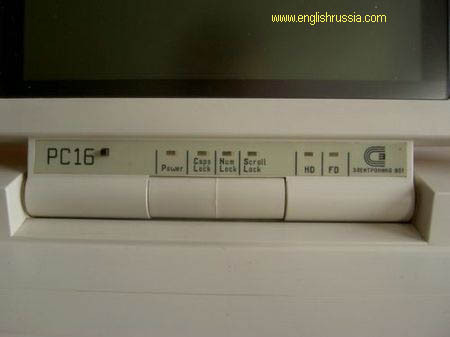 The price for the computer was around $6000, that equals 25,000 roubles according to that time’s exchange rate, when the average salary across the country was 500 roubles (50 times less!). As we mentioned before in the article “How the richest Russians became rich” at that time there were practicaly no people who earned a lot and could afford such hardware for personal use. It was mainly produced for larger industrial factory engineers so that they could carry it along with them and plug to the larger machines they operated. It has been reported that not more than a thousand of such computers were produced. The exact technical specifications are not very clear. It’s a very rare exhibit, due to its limited production. 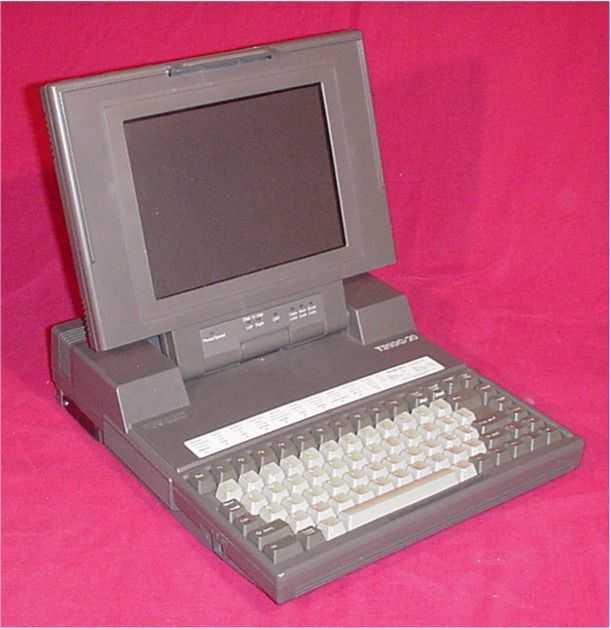 Many people even don’t know that in the late 80s there were a laptop production in Russia. не ибите моск! отличная машинка была, у вас в то время не лучше делали. проклятые империалисты. The only point is that CGA is not monochrome. You can display several colors (say four!) on it. Оу, как уматно. Русские, как обычно отсосали. Ну эт нормально, много последних сотен лет они сосут. Это правильно, так надо. nothing antirussian in text. just info. for everybody to know that there were Russian Laptops. Першу ЕОМ (комп”ютер)було зроблено в Києві. А те що америкоси вкрали ці технології та більш вдало розвинули їх – так це не бозна який подвиг. Так вже сталося – що де не глянь – навіть в силиконову долину – всюди російська або українська мова. МИ ВСЕ РОБИМО. Чи може автор думає, що все на чому він працює – американське? Та нехай його їбуть мільйон китайців – бо це не так. Слава Україні. A great innovation of that time. For all russian people who posted their comments here. Be patience for other! don’t spoil this article with bad words! 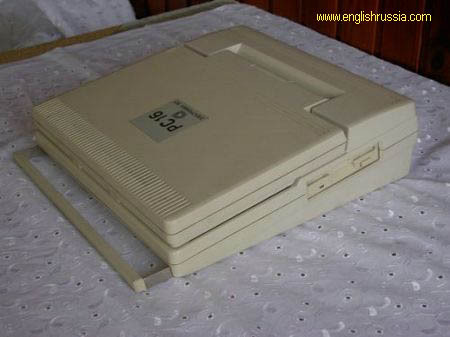 does any body know what was the system they were running on it russian dos??!! or what? Dimensions: 2.25 x 11.25 x 9.3 2. Can somebody help me? I want to buy it! please reply to [email protected] if you have some info.. The cost of such things wasn’t much cheaper in the US. And I would imagine that most of the ICs were of Russian origin, and semiconductor devices in Russia were very expensive to produce in that era.